If you have any information about these crimes or any person(s) involved, you are urged to call Crime Stoppers at 745-3333 or submit a Web Tip on this secure website. You do not have to give your name. Your call could earn you up to $1000.00, if the information leads to the arrest or criminal indictment of suspect(s). 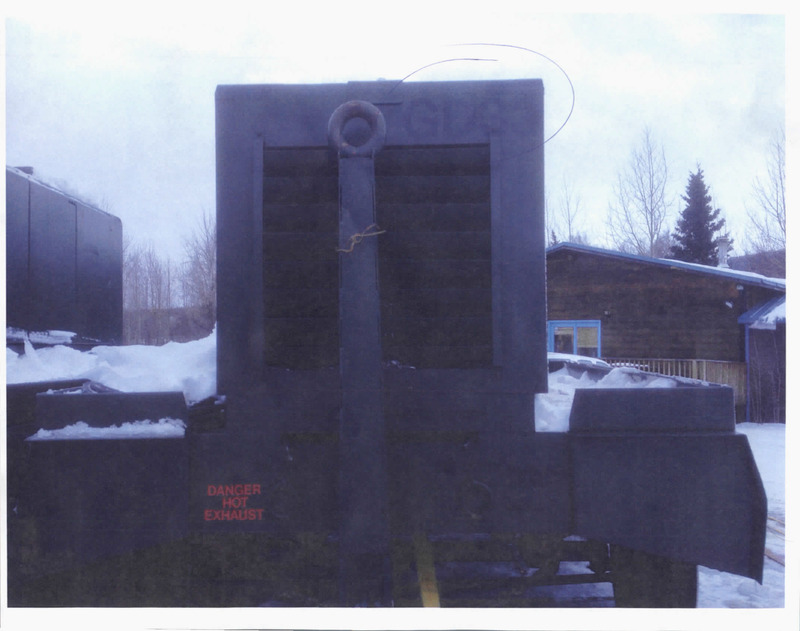 On Friday, 2-6-17, the Alaska State Troopers received a report of a diesel generator stolen from an outdoor storage building at the Chickaloon Tribal Council located at 21117 E. Myers Avenue in Sutton. Investigation revealed the generator was purchased through a federal auction and a sticker with the number “32” as well as an auction lot number was affixed to it. It is suspected the generator was stolen during the week of January 30th. The generator is valued at over $33,000. As the result of an on-going investigation, numerous items were seized under a search warrant, which were later determined to be stolen property from several residential burglaries. The items were suspected to be stolen around early October to mid-November 2016. Victims were contacted and identified, however, AST is still seeking the owner of a gold nugget watch with a rams’ head detail. Troopers are encouraging the owner of the watch, or anyone with information regarding the burglaries, to contact Mat-Su Crime Stoppers at 907-745-3333 and reference case number AK16072757. In addition, Troopers are also needing to contact the owners of a large set of Canadian coins, all with the maple leaf displayed on the outside of the case and a silver Mac Pro laptop. On Thursday, 10-13-16 at approximately 11:57 am, Wasilla Police responded to a reported theft of a utility trailer from the Wasilla Lake Christian School parking lot located on the Palmer-Wasilla Highway. The white trailer was a 1999 single axle, with enclosed cabin, bearing AK registration ‘YYV424’ and contained concession items and team sport supplies. The theft has appeared to have taken place the night before. This case remains under investigation. On Wednesday, 9/30/16, the Alaska State Troopers responded to a report of a motorcycle stolen sometime after 9/9/16 from a residence located on Hematite Drive in Wasilla. 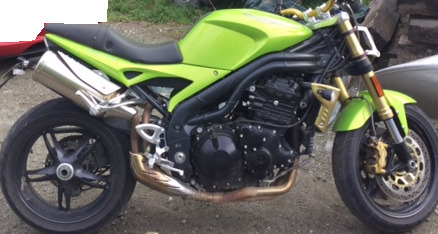 The motorcycle is described a lime green 2007 Triumph with aftermarket gold handle bars, LED tail light and a custom head light. Total value is approximately $6,200. On Monday, 8/29/16 at approximately 11AM, Alaska State Troopers responded to a residence located off Warmwood Way near Trunk Road in Palmer for a reported burglary. Investigation revealed that a shed on the property had been broken into sometime between 8/28 and 8/29. Two dirt bikes were stolen described as a 2014 KTM 65SX, 2-stroke, orange in color and a 2012 Kawasaki, Model KX85ACF, 2-stroke green and black in color. Total value is $8,500. 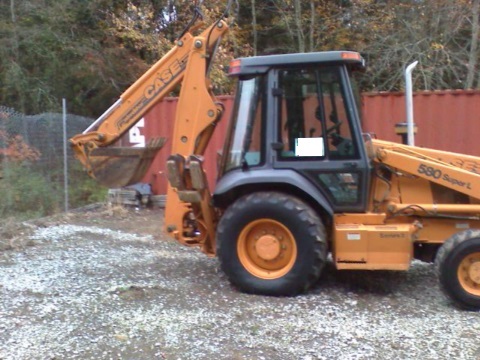 The Wasilla Police Department is investigating the theft of a 2000 Loader Extended Backhoe, Model 580 Super L bearing S/N JJG0275829. The incident occurred sometime on 8/25/16 between the hours of 5PM and midnight 8/26 in the vicinity of Holiday Drive and Lucas Road in Wasilla. The estimated value is approximately $25,000. On Tuesday 7/21/16 at approximately 1:16 AM, Alaska State Troopers responded to a report of a home invasion on Plumley Road in Palmer. Investigation revealed two people who were unknown to the homeowner entered the residence through a window. When the homeowner confronted the assailant with a firearm, an assailant shot the homeowner in the arm. Both suspects fled the residence on foot. WPD responded with a K9 to assist with tracking the suspects but they were not located. The homeowner was transported to Mat-Su Regional Medical Center for treatment of his injuries. One other person was in the home at the time of the break in but was not injured. Palmer and Anchorage ABI responded. Investigation is ongoing. The names of the homeowners are not being released at this time due to the circumstances surrounding the investigation. On 7/3/15, the Alaska State Troopers received a report of a man and a woman missing from a campsite located near mile 79 of the Denali Highway. Initial responding troopers found evidence suggesting an altercation involving gunfire associated with their vehicle and camper trailer. An extensive search of the area was initiated involving AST aircraft and Wilderness Search and Rescue volunteers. On 7/5/15 at approximately 4:00 PM a dilapidated trailer was discovered near an abandoned mining camp and both missing individuals were found deceased inside. The missing couple was later identified as Lynn Butler, 42, of Wasilla, and Richard Casler, 62, of Wasilla. Foul play is suspected, and the investigation is on-going. Members of the public who were in the vicinity of the Denali Highway between 7/2/15 to 7/4/15, who may have made video recordings or taken photographs are encouraged to contact the Alaska Bureau of Investigation at (907) 269-5611. On Wednesday, 5/25/16 at approximately 4:00 PM, the Alaska State Troopers in Wasilla received a report of a vehicle theft from a property on Museum Drive. 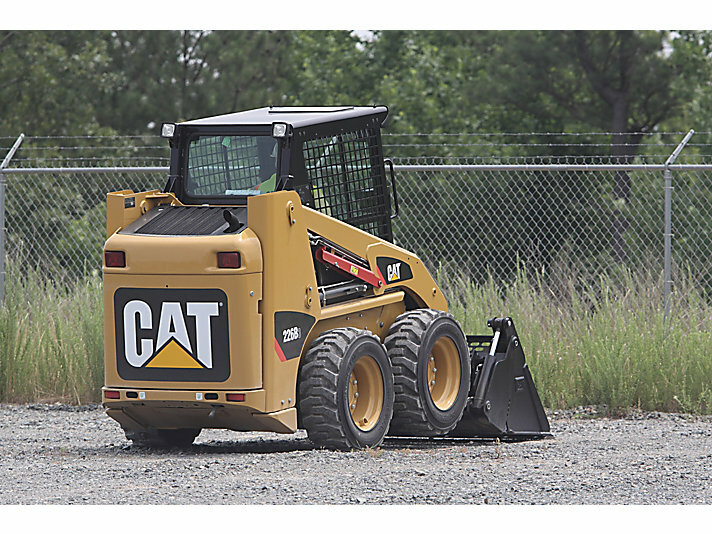 Investigation revealed a Caterpillar Skid Steer Model 226B was stolen from the property between the dates of Sunday 5/22 and Tuesday 5/24. Estimate loss is $35,000. On Wednesday, 4/27/16, Alaska State Troopers received a report of a burglary at a residence on N. Maggie Lane in Chickaloon. Investigation revealed that unknown person(s) kicked in the front door, entered the residence and stole numerous firearms as well as several electronic devices and tools valued at over $10,000. A suspect vehicle is described as a light blue SUV. The investigation continues. On Friday, 4-22-16 at approximately 7:00 AM, Alaska State Troopers took a report of a theft from a blue 2002 Ford work van parked on a construction site on N. Buttermilk Circle located near Engstrom Road and Wolf Lake Drive in Wasilla. The passenger-side window was broken out and approximately $2,500 in tools had been stolen from the van. Investigation in this case is ongoing. On Monday, 3-28-16 at approximately 8:31 PM, a vehicle was reported stolen to the Alaska State Troopers by an Iditarod volunteer. Anchorage Chrysler Dodge had allowed the Iditarod Sled dog race to use several vehicles during the race to assist race volunteers. On March 6th, race volunteers were using some of the vehicles in the Willow area. A black 2012 Dodge 1500 with Alaska plate #GRJ861 was stolen from the area of the Willow Recreation Center. The theft was not discovered until later due to miscommunication between race volunteers. Investigation revealed the Anchorage Police Dept. had been involved in a short vehicle pursuit involving the stolen Dodge truck in Anchorage on 3-27-16 at approximately 8:00 AM (it was not reported stolen at that time). The vehicle was last seen driving East on 6th Ave in Anchorage. Palmer Police investigated several reports of vandalism throughout the City of Palmer between the late evening hours of Sunday, 2-28-16 and early morning hours of Monday, 2-29. Investigation revealed unknown persons spray painted several residences, businesses, vehicles, sidewalks, street signs, and parking lots with graffiti. Estimated cost to repair the vandalized property is approximately $4,000.00. Investigation is ongoing. On Monday 2-22-16, at approximately 5:15 AM, Alaska State Troopers responded to the Fresh Start Espresso located on Bogard Road at Stringfield (Old Trunk) Road in Palmer for a burglary after-the-fact. Investigation revealed unknown person(s) gained forced entry into the coffee stand between the hours of 6:00 PM on 2-21 and 5:00 AM on 2-22 causing approximately $1500 damage and stealing cash. On Monday, 1-11-16 at approximately 12 PM, Alaska State Troopers responded to a new home under construction off Snowgoose Road for a report of a burglary. Investigation revealed the house had been broken into sometime between 1-6 and 1-11 and several items were stolen including tools, wood and cabinets that were taken off the walls. Investigation is ongoing. 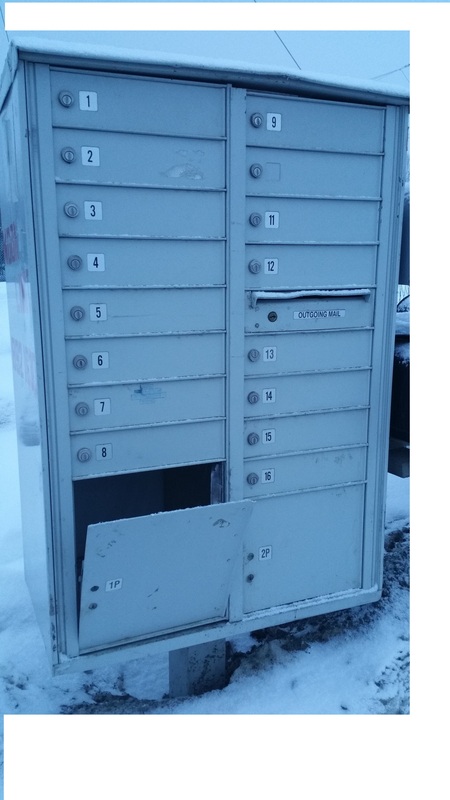 On Monday, 12-28-15 at approximately 8:50 AM, it was reported to the Alaska State Troopers that a home under construction and a work trailer located on Alder Drive (near Bogard Road and Seldon Road) in Wasilla was forcibly broken into. The incident occurred between 12-23-15 at 5:00 PM and 12-28-15 at 8:00 AM. 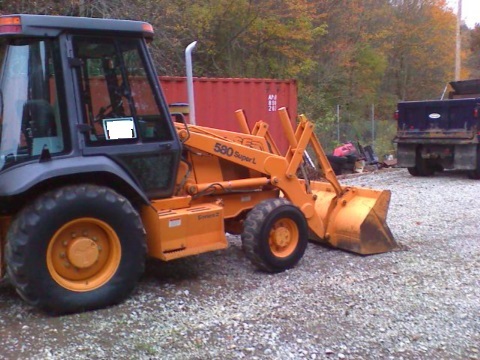 An inventory of stolen tools and other items estimated the loss to be in excess of $3,000. Investigation is ongoing.